Tamara, a diretor with The Blau & Berg Company, is responsible for representing both buyers and sellers, along with landlords and tenants. Tamara J. Blau brings a wealth of experience within the food and beverage industry positioning her to assist her clients identify ideal market opportunities in that sector. Her outgoing and positive outlook on life, coupled with her knack for networking, has helped her develop long lasting client relationships. She is trained in negotiations and site selection for private and institutional companies with a concentration on agency and tenant representation. 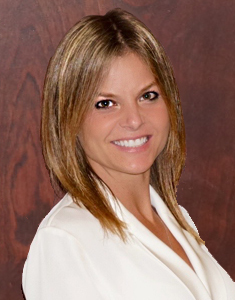 Tamara has assisted with property management of family-owned multifamily apartment buildings and was also a licensed residential real estate salesperson for Bellmarc Realty in New York City. In addition to her real estate license, she is also a licensed title insurance producer for Vested Land Services LLC. Tamara graduated from Livingston High School and earned her Bachelor’s degree (B.S.) from the Agricultural and Health Science department at the University of Wisconsin-Madison.